The currency of Facebook is the desire to be famous and impress one’s friends and family with our amazing talent, wealth or fantastic academic achievement. If you have none of those, you can still boast about your brilliant kids, or post snarky comments. Soon, you could find yourself in a war with complete strangers, who are either jealous or simply hate what you stand for. If you are good looking, why not boast about that too, or maybe not. I personally don’t care how ugly you are and the chances are that neither does anyone else. Your looks are just a product of genetics; hardly a noteworthy achievement, unless you buy into all the advertising for fashion and beauty products. The reality, is that most of us actually end up achieving the opposite to our ‘attention seeking‘ goals on social media. I want to impress you with my Facebook profile. Honestly, I really do. The trouble is that I am ordinary. My education was less than impressive; I didn’t go to a great school. If you went to university and received an education, well done! However, it does not necessarily define who you really are. 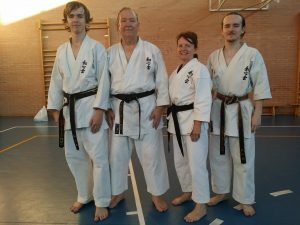 From left to right: Oscar Morton 2nd Dan, Alastair Morton 2nd Dan, Heather Morton 1st Dan, Elliot Morton 2nd Dan. The actor and comedian, Steve Martin, whilst promoting his series of teaching workshops, claimed that he had zero talent. I found this hard to believe. Here was a man who by any measure represented the very epitome of success. His main premise was that we are all born with little native ability. Our first question when studying something should NOT be, “How do I promote my new talent?” It should be, “How do I first become good?” This was pure gold. I was starting to have a few issues with failing to gain traction in the skills I wanted to master. In my new Facebook profile, I wanted to show the world a handsome brilliant musician who was also a black belt in karate. Nothing wrong with that, except instead of worrying about updating my profile, the time could be better spent learning to be good at something instead of average. I started to write the words on my new profile, but it was difficult. It turned out that I was only average, ordinary; nothing special. My fingers were too short in order to make the stretches needed to become a concert guitarist. Therefore, I developed the self-limiting belief that I would never play the guitar at an international level. The same with karate. 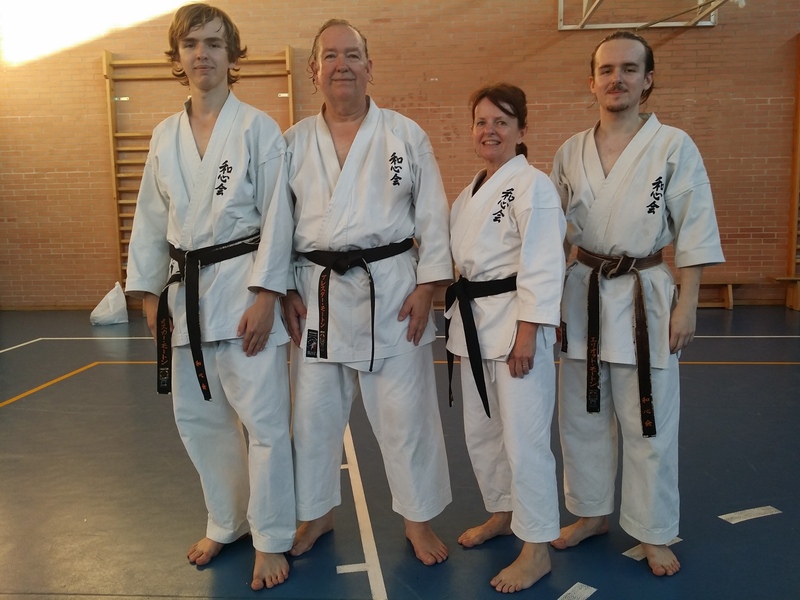 Out of the four black belts in my family, I am the least remarkable technically. I complained to my instructor about this. He shook his head, but rather than handing out some sympathetic platitude he simply said, “If you are fed up with always coming third or last, you are just going to have to work harder!” After that, he would hear no more of it. Why am I telling you this? It is because of Steve Martin and my Sensei (Karate Instructor,) unlikely as it may sound, both have something in common. They are clearly master of their art and they both had to invest a great deal of time and effort in order to become good. Next → Next post: Is writing easy?